Children aged 8-11 years old. These are the results of a small workshop I ran at a primary school with children aged 8-11 for a careers day. After being asked about digging up stuff [they thought I was an archeologist!] 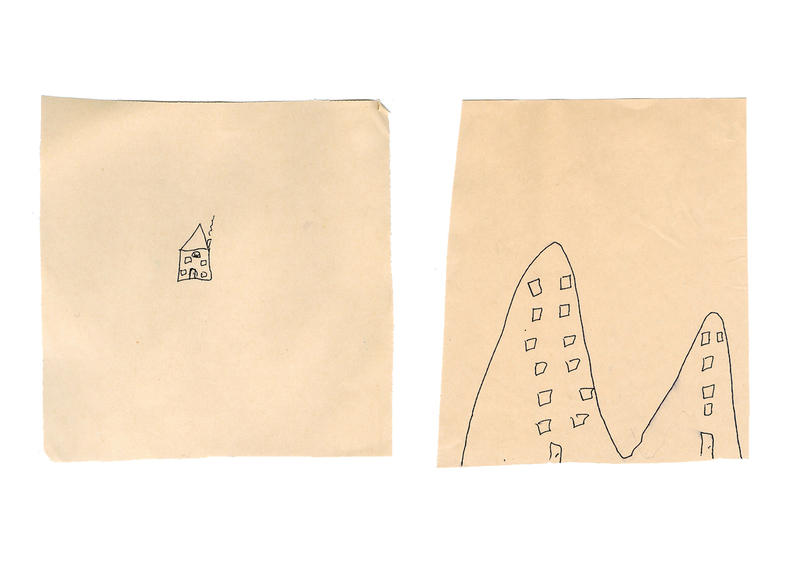 I asked the children to draw a ‘house’. Some included what I assume are traces of their homes such as door numbers, and some drew what they would want, such as a heart shaped swimming pool! 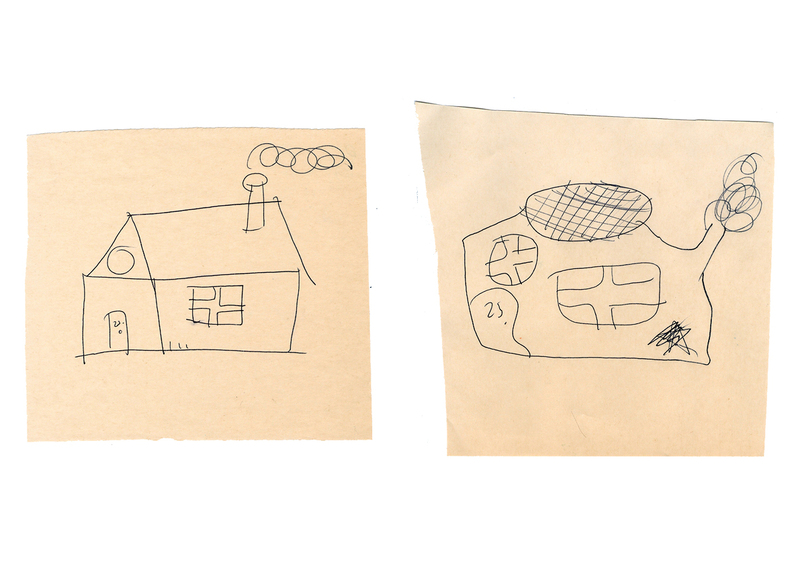 The majority of children drew a pitched roof, chimney and crossed windows. 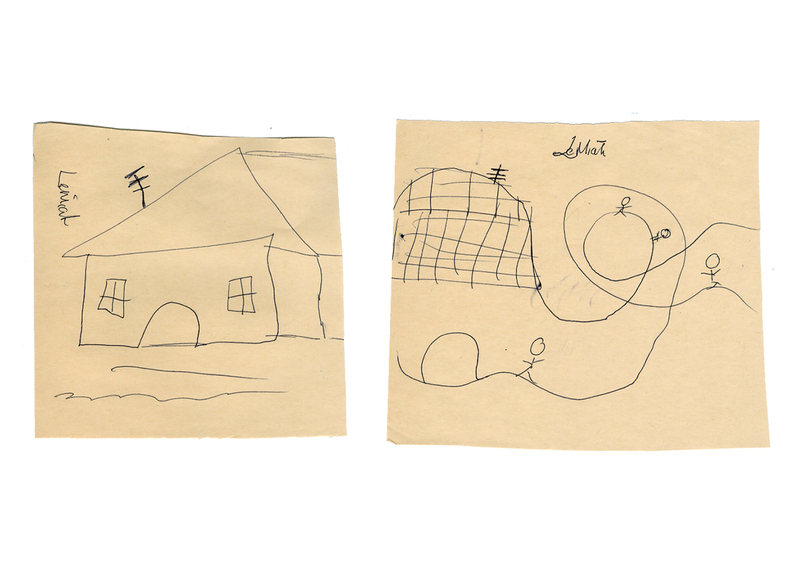 What I find interesting about these drawings are the radical changes that occur from showing just a little bit of inspiration. Many children kept characteristics of their original house such as a door number or the very important television antenna! This suggests that the new house is an adaptation of their own and is highly personal. 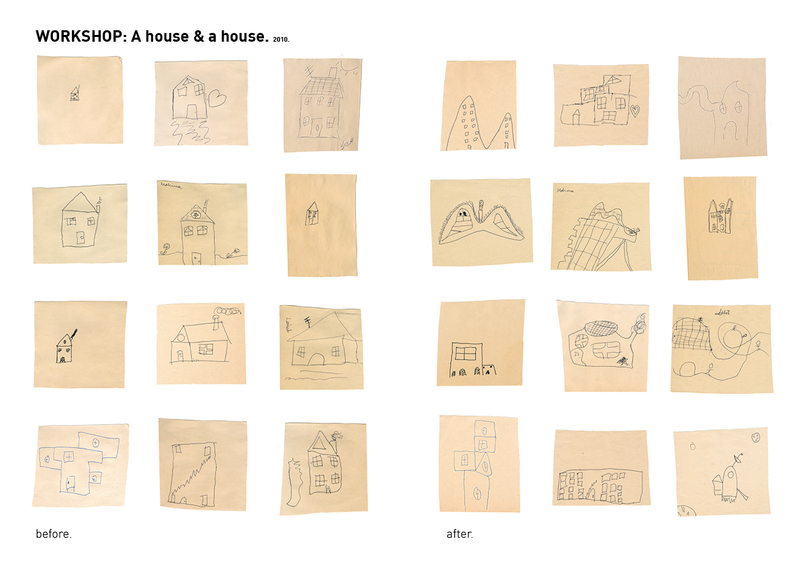 Out of all the children who did the workshop, around 40, all but one girl drew a flat elevation. 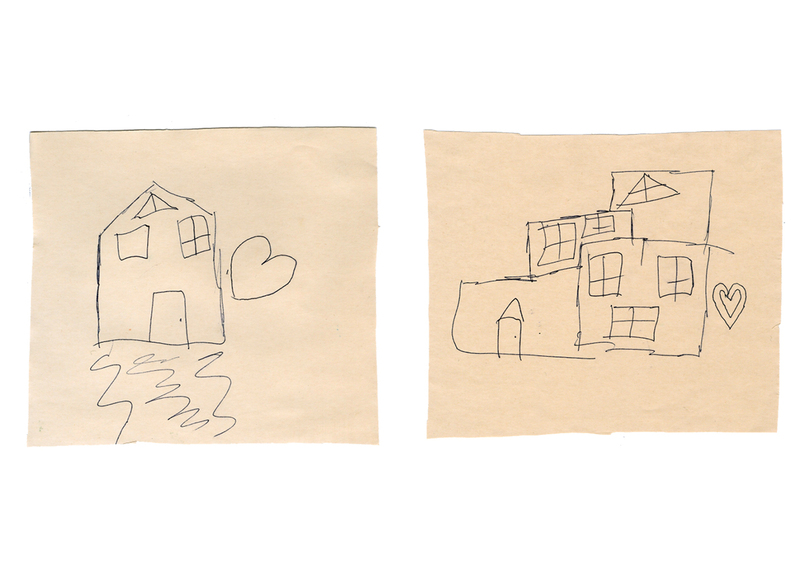 She attempted to draw in three dimensions but then told me at the end of the workshop she had forgotten how to do it. She was the only child to attempt such a thing.